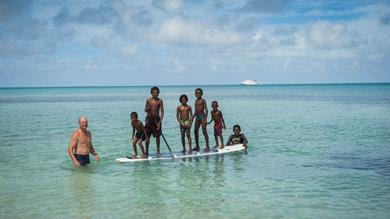 The TRUE NORTH’s extended seasons in West Papua and Papua New Guinea are unique opportunity to discover world-class adventure right on Australia’s doorstep. 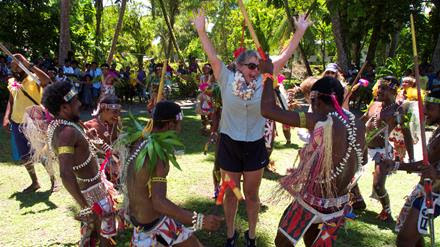 There are once in a lifetime opportunities to swim with The Whale Sharks of Cenderawasih Bay; to explore West Papua’s world-renowned Raja Ampat Marine Reserve; to see crocodile initiation ceremonies and floating villages on the intriguing Sepik Soiree. 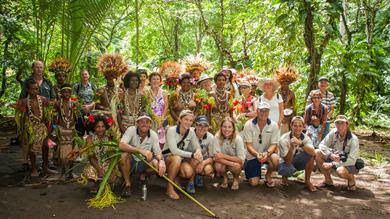 To visit only pristine islands and unspoilt villages on our most-refined South Pacific itinerary – the New Adventures in Paradise! Or, the five night Archipelago Adventure is a time and budget conscious opportunity to experience the stunning Louisiade Archipelago.